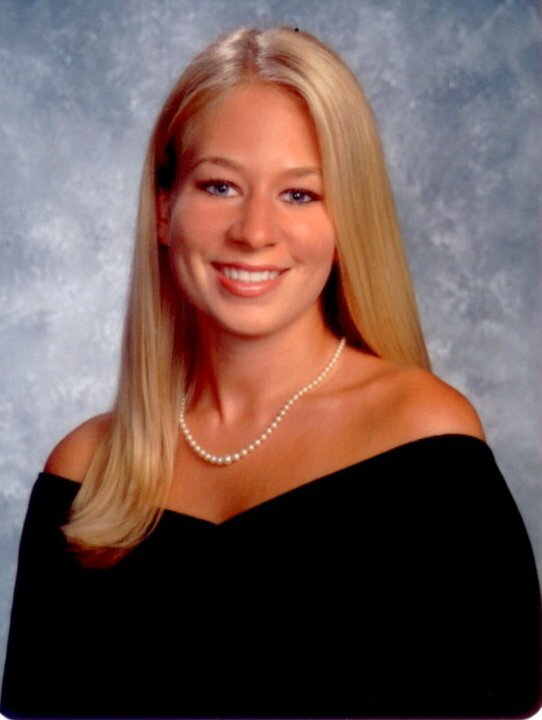 After twelve years, Natalee Holloway has been found. After a new tip, her father Dave has excavated human remains in a park on Aruba. Whether the remains of his missing daughter must show DNA research. Dave unveiled Wednesday in the NBC program Today, that, with the help of private detective TJ Ward, after 18 months of research, he may have achieved a breakthrough in this case. He told the program that he got a tip from a former housewife of Joran van der Sloot's best friend. This tipler claims that Joran GHB had been in Natalee's drink, after which the 18-year-old American stabbed her own vomit. Joran called his father Paul; The two bury the body according to the tipger in the park. Dave said that after all disappointments he had not expected to actually find human remains. "I know there is a possibility that someone else is going, so I'll just wait." The investigation takes time; The results will be announced next month. Natalee disappeared in May 2005 on a vacation with student friends in Aruba. She was last seen in partnership with Van der Sloot, who is currently punishing a sentence of 28 years in Peru for the murder of Stephany Flores Ramirez (21). Joran's father died in 2010 after receiving a heart attack during a tennis game. Hi Rob, Wreck, BlueMoon, Blonde and anyone else I might have missed. I have everything on my external drive. Photobucket has really gotten bad, they require big money to allow 3rd party posting and I had problems just now trying to get anything done. So I uploaded it to another site. Hi Klaas. I hope this is IT. It has been a long wait to bring Natalee home. I really don't want to get my hope up after all the times Dave and Beth were let down. For some reason I am one who still believes she was in that cage. Yes, as you've probably noticed, photobucket is holding me hostage too. I may cave and pay them eventually, but I'm still mad about it so I haven't. It really has gotten so bad that I hardly used it anymore anyway. Thanks for bringing the picture over! what has happened with photobucket? I am only 12% full but the ads blocked me from getting to my photos. I guess it is time to try to pull them off of there. Photobucket raised it's rates recently and if you didn't have a payed account there's not much you can do, but 3rd party, hosting is out of this world! If you have visited a website recently that displays images hosted on Photobucket, or are embedding images hosted on Photobucket on your own, you may have had a rather rude awakening one day as Photobucket decided to block these images from being displayed on third-party sites. All Photobucket images hosted on third-party sites, at least from what we can tell, are replaced by a dummy image. It reads: Please update your account to enable 3rd party hosting. For important info, please go to www.photobucket.com/P500. Tip: We have published a Photobucket alternatives guide for users of the service who are looking for an alternative. According to some users that we spoke with who are affected by this, this happened without prior notice or any form of warning on Photobucket's part. I hope this is IT as well but not holding my breath. Hi Bearly and KTF! Good to see you! I'm not going to be watching the NH special but I really hope after testing the DNA sample it's her. We all know Joran killed her. Hello Klaas. Hope all is well with everyone, as life out here in Seattle is wonderful. I don't think I could stand to watch her Father's face, yet again, if this is another disappointment. Good morning msmarple! It's always good to see you! ITA, I'm not expecting closure from this either. I've seen several "fake news" comments in reaction to the finally found headlines being shared on fb. So many people have hoped and prayed for answers for Natalee and her family, and many are skeptical of this new series as well. I guess we'll see what comes of it, if they even get to show it with the new lawsuit. Sad that we can't reach out to Jossy and get his take on things anymore. I agree, he was one of the good guys. Is Diario still published? Is there a new editor to replace Jossy? Yes, I think it is still published. This is what the website says now. I may not have done that translation correctly, I don't see "come across" anywhere! oranjestad (aan): in various medionan of comunicacion foreigner, principalmente merca y the netherlands, is circula the news cu dave holloway, father of natalee holloway that owing to desaparece at aruba at 2005, owing to give of conoce cu the is in shock because at one cas at aruba owing to achieve restonan human cual the is considera can is of his child muher. one relato of new york post is indica cu autoridadnan, do not specifica if have participacion of autoridadnan local, owing to descubri restonan human behind one cas at aruba, locual is one hayazgo abysmal cu can finalmente end cu the enigma rond of the desaparicion of the holloway 12 year happen. the restonan achieve, after of one investigacion new, is wordo analiza for so achieve know of the dna is same cu esun of natalee holloway. the declaracion here dave holloway y the investigador t.j. ward owing to revela at “today” on diaranzon. at 2012, natalee owing to wordo declara legalmente dead door of one huez, but none person owing to stay declara culpable for his desaparicion. neither sikiera joran van der sloot that owing to wordo involucra in the caso here, despite of owing to declara at march 2016 at one “undercover reporter” cu past owing to asesina natalee. dave holloway owing to tell cu the investigacion cu did take lugar owing to take away they at one informante conoci because; “gabriel”, that owing to live cu one amigo of joran y eventualmente, at the restonan descubri. apparently, this is the proof more “credible” cu have in the caso here after of 12 year of the desaparicion of natalee at 2005. now, seems, cu also is bay have one declaration of policy at television saturday, cu is one another serie “the disappearance or natalee holloway, where holloway y ward is bay talk of the investigacion here. will is interesting for know kico the autoridadnan local can tell of the hayazgo here y if was have some participacion in the investigacion cu wordo haci in the year y mey cu owing to transcuri. Crime reporter Peter R. de Vries puts big question on the finding of human remains on Aruba. The father of twelve years ago, missing Natalee Holloway, declared Wednesday that he found rests that may be of his daughter. De Vries speaks of 'a strange story' and a weird research. Father Dave Holloway released Wednesday in the NBC program Today on the news that, after months of research, he collided with private detective T.J. Ward has been able to dig human remains in a park on the Caribbean island of Aruba. The investigation further showed that the girl was given ghb from Dutchman Joran van der Sloot and then stitched when she had to surrender. It is not accidental that Dave Holloway comes up with news on the matter. On the next Saturday, the US radio station Oxygen will broadcast a documentary about the father's search. Crime reporter Peter R. de Vries puts a lot of questions on the discovery. "In the first place, you'll start the ears right away. But then you'll see what they've been doing online and are going to notice things. Thus, they claim to have found human remains, but it is, of course, bizarre that the police and justice of Aruba are completely out of place. That's even a death sentence in my eyes. That you are digging an assault on an alleged place, destroying traces and ensuring that the police and the judiciary can not capture the circumstances under which they took place. " 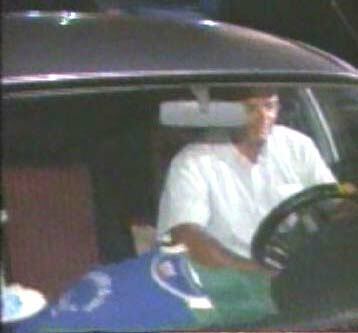 De Vries also has doubts about the finding of the remains himself. "They say that research has shown that it was about human remains, but what did you actually find? Because if there were a body there would you just be a skull and do not you have to investigate if anything is human or not? Do you see that right? A skull is one of the last things that perish, and if an animal had something to be excavated, I suppose traces would have occurred before. " What was heavenly motivation to do this outside of the police and justice? According to the crime reporter, the father did not find a whole body. "At least, no skeleton has been found and then I think: what's this? If you say your research needed, then it sounds like you've only found a few bones. They further claim that the DNA research will be available in a month. While they have been in possession of the evidence for a long time. If the Dutch Forensic Institute (NFI) was involved, we would have just known it at the end of the week. " On the suggestion that the father might have come out with the news to promote a documentary broadcast on Saturday, De Vries makes no statements. "I can not look into that. I used to be used to this before, sometimes things just collapse. " De Vries still points out that the father's action may give rise to major problems for the evidence. "They owe some explanation. What was heavenly motivation to do this outside of the police and justice? For example, imagine a hole in the skull or other traces indicating a cause of death. If a judge wants something like that, then any future suspect, Joran van der Sloot, can say, what are those excavated things worth? These items are uncoverable for two months, which have been dug up and then swept those two months everywhere, who have gone to many private laboratories. Who says that nothing has happened to those things? " The ghb story by Dave Holloway's tipger is somewhat similar to what has already been known. "Joran van der Sloot has previously stated that Natalee suddenly became unwell and began to shake and shake and had blind eyes, so at least Joran has previously hung up. But that of human remains I find a very strange story. " Page created in 6.225 seconds with 19 queries.